We are happy to present the Emens Auditorium Collection celebrating 50 years of the John R. Emens College-Community Auditorium! 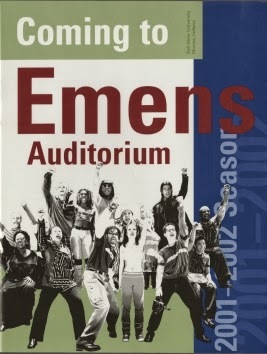 The Emens Auditorium Collection provides access to selected programs and event promotional materials including programs, show bills, season ticket brochures, and other printed ephemera from events held in Emens Auditorium on the campus of Ball State University. Included is documentation of the Emens Artist Series and Concert Series as well as the planning and construction of the auditorium.